One of our favorite sponsors, Natureshop, is having an incredible sale going on. Their entire baby department is at 50% off, that's huge! Some superbly priced organic cotton and merino baby clothing, all with free shipping worldwide. How about long sleeve organic merino bodysuits at just $18.98, organic cotton jersey crib sheets for $34.98, and organic cotton pajamas for $14.98. They sell a big variety of high quality Nature Baby and Green Baby brand clothing. Don't miss out on these deals, I rarely come across something like this for organic baby clothes! You may remember we previously reviewed an organic merino toddler clothing set (which is my toddler's favorite, most comfy outfit) and newborn merino beanie, mittens, and booties from Natureshop. This time we received the Organic Merino Stretch and Grow suit for our 8 week old baby boy (pictured below). You can currently buy it on sale for $27.48 (normally $54.95). I'll admit he wore it for two days straight, I didn't want to take it off him. It is so warm and cozy, it keeps his temperature comfortable and it works great with cloth diapers. We got the size 3-6 months, though it turned out only slightly bigger than his 0-3 month suits, so I advise ordering one size up. As you can see it fits him great, with room to grow at just 8 weeks old, weighing about 14 pounds. The only thing I don't really like is that it has buttons instead of snaps (which works for merino because it isn't good to pull on), takes a little longer - though I didn't mind, even for nighttime. Since I got the brown, you can also see spit up on it pretty well, you would not so much on the lighter colors. Now I mainly put it on him when we go somewhere, it looks pretty sophisticated! I also received this merino wrap that I will be giving away to one of you, great for swaddling a newborn or to take along for extra warmth since it thin and folds very small to fit in your diaper bag. It is 31.5" by 31.5" in size. It is made of the exact same material as all the merino items I have previously reviewed. 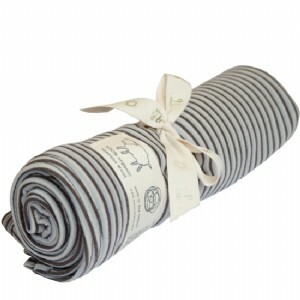 One of you will win the merino wrap pictured above!